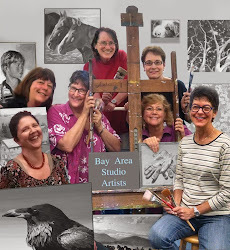 Tuesday, August 13 the Lafayette Gallery will open with a new show "Making Waves". 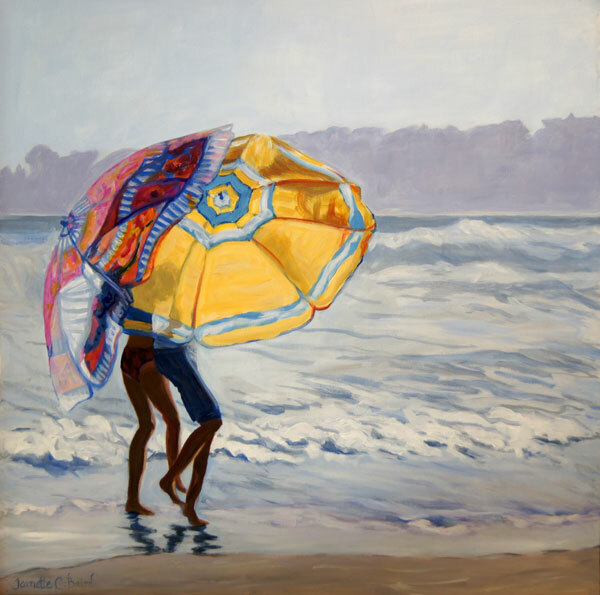 The above painting is "Beach Dance" and was from a photo I took at Stinson Beach in June of a couple frolicking in the waves with their multicolored umbrellas. It felt young and carefree. My other entry is "Gone Surfin' " and was a composite of several different photos. This young man was in a parking lot near Lighthouse Point in Santa Cruz but I really wanted him on the beach. I found one taken several days earlier where the lighting was from the same direction and combined the two. Hope you can come by and see the new show!